The warm weather has been unseasonably generous lately, the flowers are blooming and I see two birds outside my window today who seem to be seriously considering to build a nest in my growing red maple tree. Few other creatures have been ornamented with such gorgeous colours and vivid plumage! Welcome all my feathered friends, this one is for you! 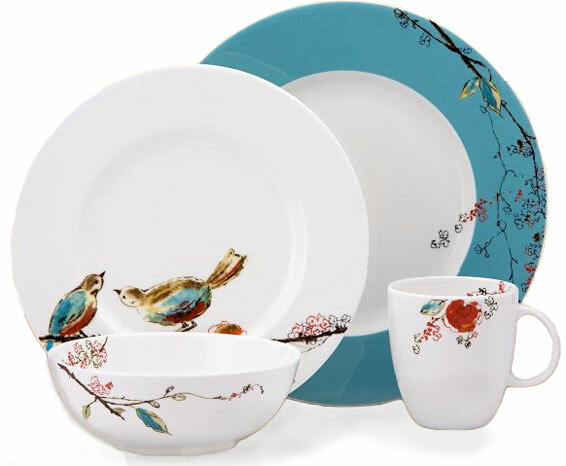 The fresh colors of the “Chirp” dinnerware by Lenox is a bold watercolor blast of color to get you out of the winter doldrums. Oh robins’ egg blue and flushed corals can get me right back into Spring. 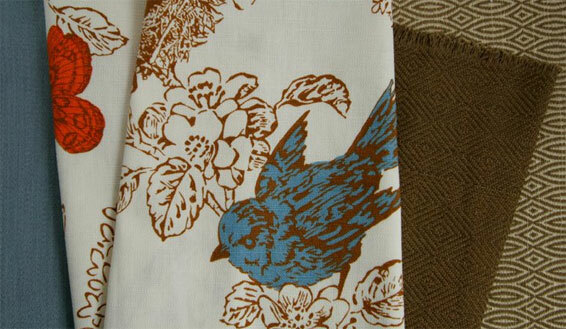 This fabric by Duralee has very similar coloring and features a fun bird and botanical print.